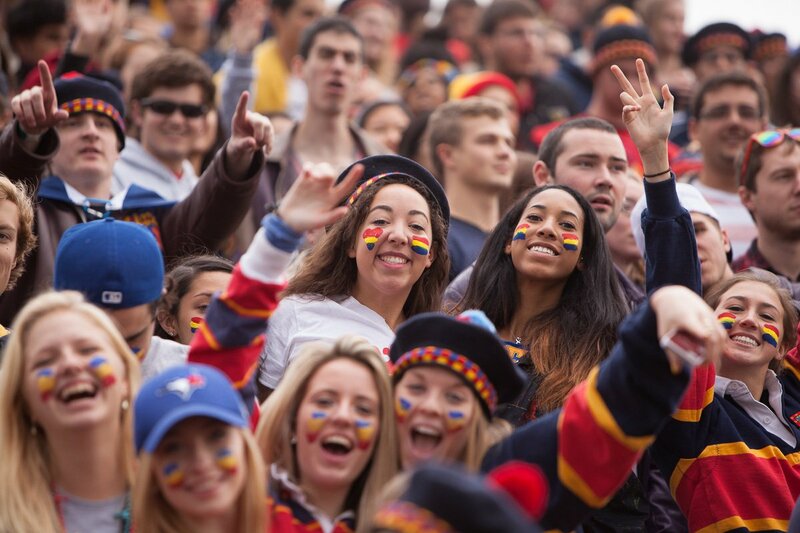 If you are reading this, you are likely a member of the Queen’s University Class of 2021 Facebook Groups. College kids were a lot different in 1969 than they are now. Besides the impending doom of the Cold War, the first moon landing, and Nixon’s rocky years, technology wasn’t all the available. More often than not, college freshmen met and spoke to their roommate for the first time on move-in day. Now, most colleges have a “Class of 2020” Facebook group where incoming freshmen can flesh out their nerves or have their questions answered by upperclassmen. I don’t know what Bryan Adams was talking about in his hit song “Summer of ‘69”, but I, as an incoming freshman, am sure glad technology is around. No matter how many emails, notifications, and Facebook posts, there is always someone who doesn’t seem to get to it until the last moment. Most common posts are: “Guys, I have twenty minutes to complete a two hour alcohol education assignment. HELP!” or “Hey, did anyone else wait until the last second to find a roommate? If so, hmu! I promise I don’t smell.” The list is never-ending. For every occasion, you can count on someone to post a countdown for you. “15 DAYS UNTIL WE PICK OUR ROOMS GUYS #getpumped” is an example, or “15 days until 4 days before the week before move-in day! #soclosebutsofar” Need I go on? See number 1: “The Procrastinator.” These two people go hand in hand, but have a large difference. While the procrastinator knows about the deadline, the clueless kid knows nothing about anything, no matter how many emails, notifications, and Facebook posts. “Wait, we had to pick a roommate?” Classic. These people remind me of the kids that go on Shark Tank with inventions that I couldn’t come up with at my age. Where’s the perfect place to sell all those Girl Scout cookies your little sister is selling? The “Class of 2021” Facebook group, of course. The best place to share your talent for personalized pet rocks? You got it. So many websites in this era offer special deals to people who promote their websites via social media. Did you know that every person that clicks on your link and signs up for “X” website, you get 5 Wonderbucks? It’s pretty cool. When you get 1,000 Wonderbucks, you can trade it in for some Silly Putty and a piece of string. No, no, don’t get me wrong. Sometimes, these websites do offer some payout, but more often than not, it’s not worth the time putting into it. When you blindly accept the terms and conditions, have no fear. There is always somebody in your group perusing the lines for a hiccup in their ethics. You may think that nobody has time for that, you are mistaken. Trust me. Orientation week is approaching and many questions are going onto the Facebook group, but one person is especially concerned: “Will the dining halls be open during the week?” or “Will they take my mini-fridge if it isn’t mini?” or “Unlimited meal plan thoughts? I’m pretty used to ten meals a day so I don’t think I can survive on anything else…” But hey, who am I criticizing? I relate a lot to Merry from Lord of the Rings. Yes, we’ve already had breakfast, but what about second breakfast? I couldn’t count how many people showed themselves in their college T-shirts around the world. “Hey everyone, it’s your friendly [school team name] in the North Pole chilling with some ice!” Okay, that post didn’t happen, but my college mascot seemed to travel the world in one summer more than I have in my lifetime. In a group of 1,000+ students (usually), it’s really important to be friends with them on Facebook, follow them on Twitter, or be Insta-buddies. I mean, in six months when you go through your friend/follower/whatever list, you’re definitely going to remember this random person you added and you’re definitely not going to wonder why you are friends/following them/whatever. Need I say more? “Does anyone live in [your city name] and want to meet up?” No matter how big a school is, it’s not likely there’s a ton of kids in your city, unless, of course, you’re a big city kid. Awkward coffee date for two, anyone? Some people really need to know the dimensions of their desk, bed, bed posts, closets, drawers, floor space, garbage can, and key hole. Hey, don’t be mean. Just give them the dimensions of the space you need from them, and they’ll be okay. The world—especially Facebook—is cluttered with articles upon articles. Someone in every “Class of 2021” group just thrives on sharing them with you. Best ways to walk from the shower to your dorm room? Check. Top 10 ways to piss off your roommate and make them hate you forever? Check, and check. While I am a lover of memes, you, a self-made meme machine, are not the Da Vinci of memes. If I see another “Straight Outta [School Name]” I will probably call up Ice Cube and Dr. Dre and give them a piece of my mind. These guys are everywhere in each “Class of 2021” group. In the end, we’re all clueless freshmen, and probably will remain so for the first few months of college. Is there anything wrong with that? If you call your professor “teacher” on accident, then maybe, but everyone makes mistakes. We’re going into a brand new world and it’s alright to be confused. We get to walk around campus without a hall pass. That’s a plus, right? This is the one that starts posting from the time the common application comes out, with helpful tips and suggestions and assurances. Okay, I guess this person is super helpful when it comes down to it, but lets be real- it can get weird. From posting events that we didn’t really ask about, to three paragraph responses to a “What kind of scholarships does our school offer”, overwhelming pep can turn away already anxious applicants. The strength of the school spirit is endearing, but if you are able to make yourself known as the “upperclassmen” in a 6000 student facebook page, I think there is a slight problem. This is the one that makes it very clear that they could’ve made it to a higher caliber university if it wasn’t for the lack of financial aid from our beautifully corrupt educational system. It’s the one that introduces themselves in their intro posts by listening every impressive school they got into…oh and I guess the one that they are actually attending. This is the guy that you know is going to be on the lurk the moment his parents leave him to his congested dorm room. With dreams of sexiling his roommate and being “that guy” on his floor, he makes his introduction as douchey as possible. He’s always down to treat girls right and show them a good time. He’s definitely going to talk about how much he plans on going to the gym, and probably the very intense stoner music he likes to listen to. At the same time, he tries to stay mysterious by mentioned he’s undecided (ooooo? ), and leaves the girls questioning. But honestly, it all comes down to one question over them all: are we on Tinder or are we on a facebook page? This one basically lists their resume, making the normal 100 word introduction into a 500 word essay for self affirmation. I mean, after reading their introduction you’re forced to re-evaluate if you’re worthy of going to the same college as them. They memorized the student handbook for the school, so any question you might have will be answered within a thirty second time period. They already have their shi* together…as seen by their six year plan they add into the essay as a footnote. One word: memes. At least in the new england school groups I’ve been in, there’s always that couple of people that posts a series of memes or funny pictures relating to the school of their choosing. It might be about the atrociously high tuition costs (#relatable), or satirical cartoons about greek life, but in the end it’s all the same. This person is definitely a like seeker on facebook, but definitely interesting enough to be friends with around the time fall rolls around. I like going out, but i’m definitely down to chill and watch netflix with people when I’m in the mood for a more chill night. I definitely plan on joining a sorority, I’ve never wanted anything more to have a bunch of sisters to experience college life with. One of things most important to me is my education, honestly it will be the top priority, but with my awesome time management skills and lilly pulitzer organizer it’ll be no problem. As for interests, I’m a big chipotle person (guac always please!! ), and always down to grab starbucks or teavana. Feel free to follow me on instagram, twitter, snapchat, kik, tumblr, or any other form of social media that can show how cute I am! Hahahaha see how i can be satirical and ironic and interesting at the same time? Room with me!!! This is the one that needs to emphasize the fact that they in fact made it to college, AND plan on being the popular kid…despite the 18,000 undergraduate student body. That’s right, they were the jock in high school, so they have no choice other than being the jock in college as well. In their 100 word introduction they somehow manage to include that they were recruited, that they are undeniably straight, and that they were recruited (just incase we forgot the first time). This is the one that will keep posting rosters about the game schedule, until they get a reality check and are benched until the last game of their junior year. No matter the types of people you encounter, weird or endearing or embarrassingly you’ll always stay excited for school. It’s your dream school after all. They may complain about how much work they have to do, but ultimately will excuse their bad grades because hey- they’re here to have fun! They take advantage of long weekends and Reading weeks to travel and explore areas while the rest of us are here…reading.